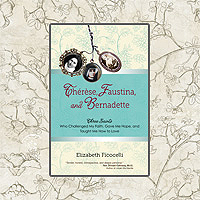 Ave Maria Press, e-Book Available — In an engaging combination of personal memoir and biographical narrative, Elizabeth Ficocelli introduces readers to three remarkable women saints who became not only her role models, but also her life-changing friends. The Crossroad Publishing Company —“An outstanding, practical guide for every Catholic parent! 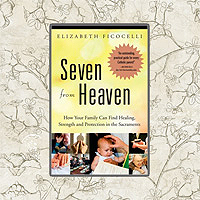 Use Seven from Heaven to give your children the greatest gift of all — joyful participation in Christ’s presence every day.” — Matthew Kelly, New York Times bestselling author With an imprimatur granted by the Most Reverend Frederick F. Campbell, Bishop Of Columbus. 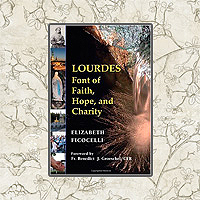 The Crossroad Publishing Company, e-Book Available —In times of joy, bereavement, and uncertainty, seekers of all backgrounds have turned to Therese of Lisieux, the Little Flower, asking her intercession for healing and guidance. 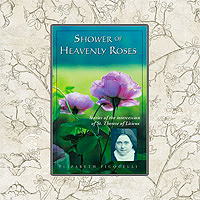 Shower of Heavenly Roses features the touching and inspirational stories of dozens of men and women whose petitions were answered with miracles large and small. 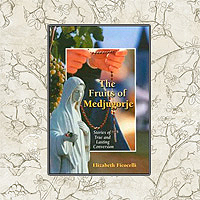 Paulist Press — More than 30 years after the start of the reported apparitions in Medjugorje, this book examines the fruits of Mary’s call for prayer, fasting, Reconciliation, Holy Scripture, Mass and the Eucharist by examining the conversion of twenty-two individuals who have made extraordinary changes in their own lives — and in the lives of others.